← February 21, 2011 Edition of Anything Goes Carnival of Politics is Up! Weather, food prices, fossil fuels and instability are all linked. Droughts in Russia, Canada, Ukraine, and now in China, as well as floods in Australia have made prospects for this year’s harvest for a number of agricultural commodities look dim. Consequently, prices have spiked for commodities like wheat and grain. Unsustainable food prices for the poor, a youth bulge, and decades of repression and corruption, led to a cascade of unrest in the Middle East. This unrest, in turn, is leading to stockpiling amongst the remaining despots, which raises the cost of these agricultural commodities. Compounding this problem is that this instability is causing jitters in oil prices because of the geopolitical risk associated with Middle Eastern instability. Rising oil prices increase the cost of transporting food and running agricultural machinery, which ultimately result in further increases in the cost of food. Exacerbating these rising fuel prices is the worry that Saudi Arabia’s ability to reliably supply the world with spare oil capacity no longer seems assured. Given that some of the most productive Saudi fields have been pumping for decades, many investors are skeptical that Saudi Arabia can continue to supply this spare capacity indefinitely. If Saudi Arabia is unable to provide this spare capacity, oil prices will spike even higher and lead to another food-oil commodity super-cycle/death spiral. Now, China’s drought in eight wheat-producing regions may result in that country exporting less food to its reclusive neighbor, North Korea. For North Korea, this chain of events could not have come at a worse time as that country is in the midst of a delicate succession struggle. Making matters worse, countries that used to provide the North Koreans with food aid like the United States and South Korea, are turning their backs on the hermit kingdom after North Korea sank a South Korean naval vessel and fired artillery on South Korean civilians. Who can blame the Americans and the South Koreans after years of North Korean threats and demands? 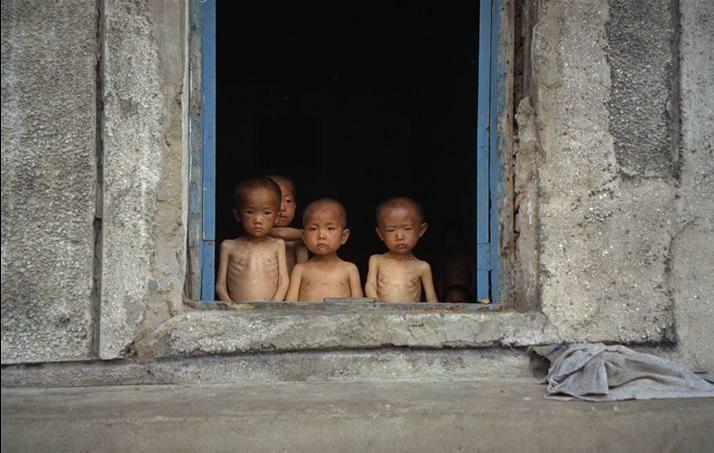 After $2 billion and 15 years of food aid, the North Koreans still continue to divert food from civilians to support their military and the Korean people continue to suffer from malnourishment. In addition to the global factors discussed above that will likely make it more difficult for the North Koreans to procure foodstuffs, North Korea’s agricultural sector has experienced major setbacks this year. North Korean food production has been “plagued by floods, an outbreak of a livestock disease” and one of the worst winters in six decades. The U.N. World Food Program has warned that its current food supply can only sustain operations in North Korea for one more month. Dissident groups have even reported that members of the 1.2-million strong military are suffering from food shortages. A tell-tale sign that the food crisis is starting to have a significant impact on North Korean food supplies is that the hermit kingdom has made the unusual step of asking foreign governments for food. North Korea never asks for anything. It usually makes demands after detonating nuclear weapons, sinking ships, firing artillery shells at civilians, or firing long-range ballistic missiles into the sea. This sharp change in North Korean behavior should be a cause for concern for the United States, China, and South Korea, as it might imply a pending collapse of the regime or lead to a desperate attack by the North on the South. The Central Intelligence Agency may have missed the signs in Egypt, but there is no excuse for missing the signs in North Korea. Hopefully, the United States, China, and South Korea will be able to negotiate a phased process of integration of North Korea into South Korea as soon as possible. Should these parties choose to ignore these signals, millions may die. This entry was posted in Business, China, Clean Energy, Climate Change, Defense, Energy Security, Finance and Economics, International Security, Investing, Middle East, Policy, Politics, Predictions and tagged China, CIA, Clean energy, Economics, Egypt, North Korea, Oil, Politics, Saudi Arabia, South Korea. Bookmark the permalink. I’m impressed with your analysis and lucid explanation. Interestingly, though, grain futures plummeted today on fears that demand will sharply fall off (???). This points to a serious problem: speculative securities traders have come to dominate the commodities markets, often to the detriment of the public. What do you think we should do about this? In the long-term, commodities futures are critical for modern agriculture. Without them, farmers would not have a good idea what to plant before the harvest. The commodities market allows farmers to lock in prices for their goods before planting so that they don’t go under as these prices fluctuate. That said, over the short-term there is a lot of noise and fluctuation in the system, but I don’t think traders are responsible for these long-term price spikes. In energy and agricultural commodities, prices are increasing because of weather (which results in short-term trading behavior on commodities markets), higher demand from emerging markets, and fewer and fewer open acres to plant food. All of these things are tied to and reinforce one another. US dollar depreciation also helps spur commodity price increases. As for why grain futures are down today, I do not have a clue. It is probably due to favorable weather or something like a revision or release by the USDA of a crop report of some sort. However, this begs the question, if prices decreased, isn’t that good for the public? China may not have a problem feeding its people and subsiding North Korea even when there are droughts there. Droughts are common in China (at least one or more annually in one or more regions of China for the last 2,000 years), which may explain why China spent centuries (starting several hundred years before Christ was born) building the Grand Canal (from Beijing to about a hundred miles south of Shanghai (about 1,000 miles total) in addition to the current project running a tunnel under the western mountains several hundred miles from the Yangtze River to China’s northeast where China has more arable land for crops but not enough water (the biggest tunnel project in history and it is large enough to run a freight train through it). Once that tunnel is completed and water is flowing north under those mountains, the crop yields should increase in China’s northeast even when that area is hit by drought, which is common there. In fact, China has more than half the world’s dams (more than 22,000 large dams—most of which were built after 1949). Overall, it is believed that China has more than 80,000 dams. That’s a lot of stored water. It seems Beijing has planned for dry days, months and maybe even years. Since China has a long history dealing with droughts, flood control and irrigation are China’s top two purposes for building these larger dams. Even in Tibet, they have built or are building more than fifty reservoirs to catch glacial run off as global warming continues. In addition, China has leased or bought land in Africa, Australia and other countries and sent Chinese farmers to those countries (when needed) to grow crops there, since China’s farmers have managed to produce more food crops per acre than any country on earth, which are then sent back to China. China also imports much food from the US such as meat to feed China’s growing middle class. I had no idea. This is fascinating stuff. Thank you for sharing!